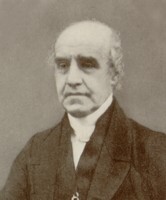 Rev Alfred Lyall 1796-1865 who married Mary Drummond Broadwood 1809-1878. Son of: John Lyall (1752-1805) of Findon, Sussex and Jane Comyn (1756-1824). 1. George Lyall (1779-1853), Chairman HEIC and MP for London, married Margaret Ann Edwardes. George was Governor of the East India Company and Tory Member for the City of London. 2. Margaret Lyall (1780-1855), married William Pearson. 3. John Lyall b. 1781, occupation Lt Col E I Co Service, d. 1819, India. 4. Thomas Lyall b. 1782, d. Infancy. 5. Jane Lyall (1786-1848), married Dr. George Darling. 6. Christopher Lyall b. 1787, d. Infancy. 7. William Rowe Lyall (1788-1857), Dean of Canterbury, Kent, m. 1817, Catherine Brandreth. 8. 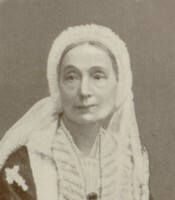 Haseldine Lyall b. 1790, d. 1790. 9. Haseldine Lyall (1791-1824), Lieutenant R.N., m. Sophie Purvis. 10. Charles Lyall b. 1792, d. 1793. 11. Henry Lyall b. 1794, d. 1794. Alfred married: Mary Drummond Broadwood (1809-1878), daughter of James Shudi Broadwood (1772-1851) of Lyne and Margaret Schaw Stewart (1778-1849). 4. Sir James Broadwood Lyall (1837-1916), Lieutenant-Governor of the Punjab in India. He married Katherine Cautley (18??-1934). 5 Catherine Stewart Petre nee Lyall (1839-1908) who married Rev Robert Godolphin Petre (1818-1910). 6 Arthur Edward Lyall (1840-1844). 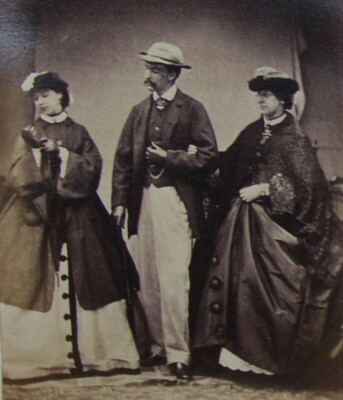 8 Barbara Dorothea Webb nee Lyall (1845-1897) who married RW Webb. 9 George John Lyall (1848-1880). 10 Harry William Lyall (1852-1915). 11 Mary Rivaz nee Lyall (1856-????) who married George Wilmot Rivaz. 1. Burke's Landed Gentry, 1886 ed. 2. Dictionary of National Biography. 3. Dewey, Clive - The Passing of Barchester, 1991. 4. Durand, Mortimer - Life of Sir Alfred Comyn Lyall, 1913. 5. Holland, Bernard - Letters of Mary Sibylla Holland, 1898. 6. Martin, Valerie - This is Findon Village website (www.findonvillage.com). 7. A biographical note from various family sources put together by Tom Lyall (great x3 grandson). The following biographical note has been written by Tom Lyall. ALFRED LYALL (1796-1865), philosopher and traveller, born on 6 Feb 1796, was the youngest son of John Lyall, of Findon, Sussex (1752-1805), and Jane Comyn (c.1756-1824). His eldest brother George Lyall, sometime M.P. for London, became Chairman of the East India Company. Of his other brothers to reach maturity, John Lyall, was a Lieut. Col. in the Indian Army, which was at that time under the command of the East India Company, Haseldine Lyall joined the Royal Navy, while William Rowe Lyall entered the church and became Dean of Canterbury. Alfred was educated at Eton, where his name appears in the lists of the fifth form, next to that of the poet Percy Bysshe Shelley. He matriculated at Trinity College, Cambridge, in November 1813, and graduated Bachelor of Arts in 1818. Following this he spent some time studying and travelling on the Continent, with extended stays in Frankfurt and Geneva. Alfred was especially drawn to Italy, where he acquired some knowledge of art. He was an incessant reader, a serious student of history and philosophical works, but also a lover of poetry. When not engrossed in his books, he is said to have been a delightful companion, full of kindly wit, and he had the reputation of being a bold rider. He was described by his family as a man of romantic tastes, with a meditative, dreamy disposition. It is related that once, having wandered into a London auction house, he awoke from a day-dream to find himself the owner of a painting 12 feet square, which he had not meant to buy, and more to the point, had no room to hang. By 1820 all his surviving brothers and sisters were married and settled. Alfred was still a bachelor, living with his widowed mother in a fine Georgian property in The Square, Findon. 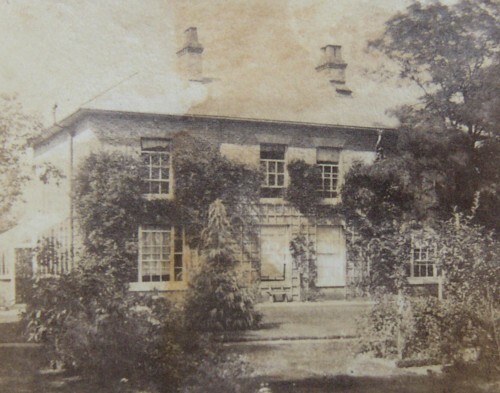 The property is known today as Grey Point, but there is no record of what name, if any, was attached to it at that time. Findon records show that another property called Avery's, larger but less elegant, located a few streets away, also belonged to the Lyall family around this time, and was probably occupied by his eldest brother George to accommodate his growing family. Alfred's literary leanings brought him an invitation to become editor of The Annual Register, a particularly influential review, which he did from 1822 until 1827, returning to it again in 1837. The winter of 1825-1826 he passed visiting Madeira and Portugal. On his return he published in 1827 a comprehensive and well-written narrative entitled 'Rambles in Madeira and in Portugal'. The book was accompanied by a folio volume of lithographic sketches by his friend and fellow traveller James Bulwer (later the Rev. James), an accomplished artist and keen naturalist. Subsequently Alfred returned to Findon and immersed himself in metaphysical studies. He might thus have wandered aimlessly through life if his elder brother, William Rowe Lyall, had not taken him in hand and steered him towards an ecclesiastical career. The church was considered a good choice for educated gentry without private means, as it offered a secure and comfortable benefice, while generally allowing the incumbent enough leisure time to pursue literary interests. Before yielding to his brother's advice Alfred wrote a second book, entitled 'A Review of the Principles of Necessary and Contingent Truth', published anonymously in 1830. This was a complex metaphysical discourse mainly attacking the theories of Hume and Reid. While this kind of treatise was very much in vogue at the time, by today's standards it makes considerable demands on the reader's ability to absorb long chains of abstract argument. It was intended as an introduction to a projected work of several volumes that, perhaps understandably, was never executed. Alfred took holy orders in 1829, and was conveniently appointed curate to his old friend and neighbour, Dr. John Hind, rector of Findon. Around the time of his ordination Alfred became engaged to a 20-year-old girl from another old Scots family. The announcement must have come as a considerable relief to the family as he was now a mature 34 years of age, somewhat set in his ways, and at risk of never finding a suitable match. 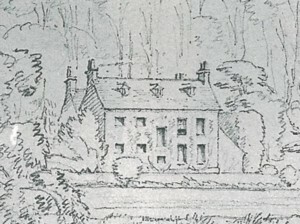 On 29 December 1830 Alfred was married to Mary Drummond Broadwood (1809-1878), daughter of James Schudi Broadwood (1778-1851) of nearby Lyne House, Surrey. Mary's paternal grandfather John Broadwood (1732-1812) had established the Broadwood piano company after marrying the daughter of his business partner Burkat Schudi (1702-1773), the renowned Swiss harpsichord maker. Mary's mother was Margaret Schaw Stewart (1778-1849), whose great-uncle was Daniel Stewart of Glenbuckie, best remembered for his association with Bonnie Prince Charlie and the unfortunate Jacobite Rebellion of 1745. The marriage was a most fortuitous union for Alfred. Mary was very well read, especially in poetry, and she shared his love of art. Active and energetic, she more than once travelled with him to Italy, and when in England she rode with him over the rolling downs. Above all she was an immensely sensible wife, with a quick, lively, practical disposition, swift to think and see, and also to feel. But the most striking feature of her character seems to have been her unselfishness - she was genuinely pleased at any success or good fortune which came to others. Though their characters differed in many ways, Alfred and Mary complimented each other. Their marriage seems to have been a very happy one, providing a family ambience in which their children thrived. Two sons were destined to have remarkably distinguished careers leading to knighthoods, while their daughters made what can only be described as socially successful marriages. The newlywed couple honeymooned in Italy, where Mary made a pencil sketch during their stay in Venice of the Bridge of Sighs, which shows off her considerable skill at drawing. The winter of 1833-34 they passed in Rome, where he kept an interesting journal. 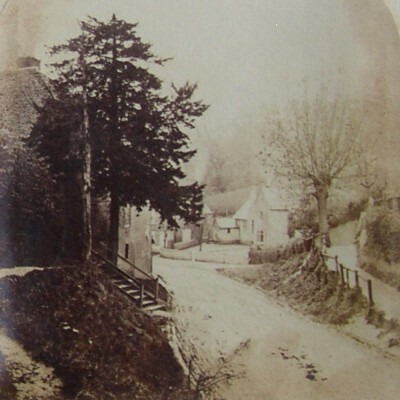 By 1835 the couple had moved to Coulsdon, where Alfred was acting as curate in charge. An attractive pencil sketch by Mary survives. 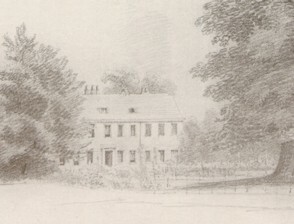 In 1837 Alfred was appointed vicar of Godmersham in Kent. His young family would later have the fondest childhood memories of their years spent here, a most attractive part of the Stour Valley. Mary continued to find time to sketch, while the children had the run of the grassy banks of the river, which rippled round the vicarage garden. At the request of the publishers Rivingtons, Alfred resumed editorship of The Annual Register after moving to Godmersham, but was soon forced to relinquish the work due to illness. Thereafter he continued to make sporadic literary contributions to other publications. In 1848 he was asked to collaborate on the Encyclopedia Metropolitana, an ambitious work conceived by Samuel Taylor Coleridge for the dissemination of universal knowledge, and published in a series of divisions, over a number of years, each consisting of multiple volumes. Alfred's contribution was in two volumes of the Third Division: History of the Christian Church, covering the fourth to twelfth centuries, which appeared in 1850. In 1856 Alfred brought out another anonymously published book entitled 'Agonistes, or Philosophical Strictures', which gained him a certain literary reputation. This was his third and last sole-authorship book, a collection of short but powerful polemics attacking the high churchmen's enemies of the day, most particularly the philosophical theories of John Stuart Mill. The family's final move in 1848 was to Harbledown, a small parish located on a rise overlooking the cathedral city of Canterbury, where his brother was now Dean. Alfred did not naturally have the makings of a parish priest - he was too remote from the ordinary people of his congregation, a shortcoming his wife appears to have energetically made up for with charitable work. Despite being a little too 'broad' in his views for a country parson he seems to have given what was expected of him, and was by all accounts well liked and respected by the community he served. Nonetheless, it was wise to take the precaution of publishing his philosophical works anonymously, for it was not altogether appropriate that he should be seen by his congregation as engaging in metaphysical arguments on subjects deemed outside the realm of his parish duties. In any case, his intended circle of readers was undoubtedly well aware of the author's identity - there was little need to advertise his writings further than necessary. Alfred Lyall remained as rector of Harbledown for the remainder of his life. He died while on a visit to Llangollen, Wales, on 11 Sept. 1865, and was buried at the parish church of St. Michael's, Harbledown, where there is a tablet to his memory. His wife Mary lived on until 1878. In my spare time I get a lot of enjoyment at home from my family history website. My other website is a price comparision system providing estimates for services from Chartered Building Surveyors, Electricians, Architects, Structrual Engineers, Arboriculturalists and other property professionals. Please follow the links if these are of interest you to.